Traveling is so worthwhile and rewarding, but the never-ending restrictions on baggage these days have made it slightly more challenging to jet set with ease. Whether you prefer to get moving with your holiday plans quickly without stopping for baggage claim, you prefer to carry as little as possible or you're trying to save money by not checking luggage, traveling light can add a little freedom to the experience when you can manage it. 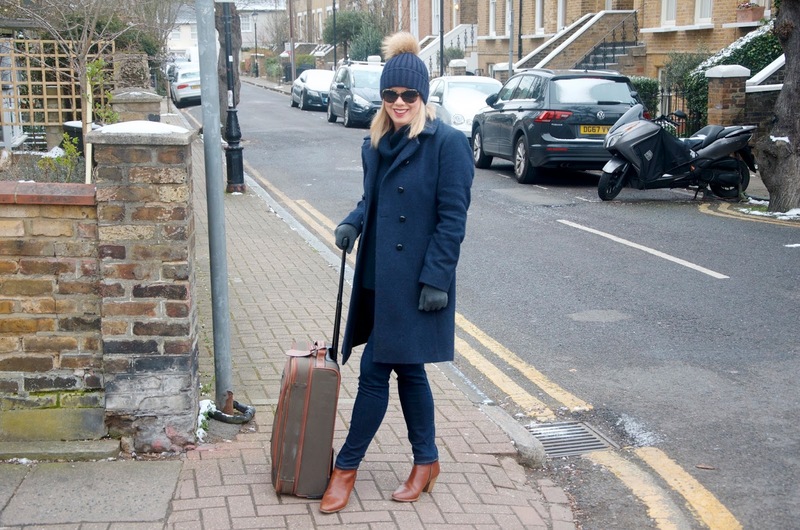 I used to be the girl with 3 suitcases everywhere I went whether for the weekend or a two week stay, but over the years I've become a bit of a master at traveling with a lighter load, even when I'm planning a ton of outfits for blog shoots or events. Though it may seem to be the opposite, I've actually found that bringing less gives me more choice and less restriction while I'm away if I take the right items with me. Fewer great choices are better than too much clutter and have even made me a bit more creative with my style when I travel. It's also a lot nice to be free and easy in the airport, strutting around with one or two small bags than it is to be falling over my giant mound of suitcases... In short, when you're packing, less can definitely be more. Don't get me wrong... Light is not a measurable goal here. I'm only implying that you can reduce rather than suggesting a specific amount. 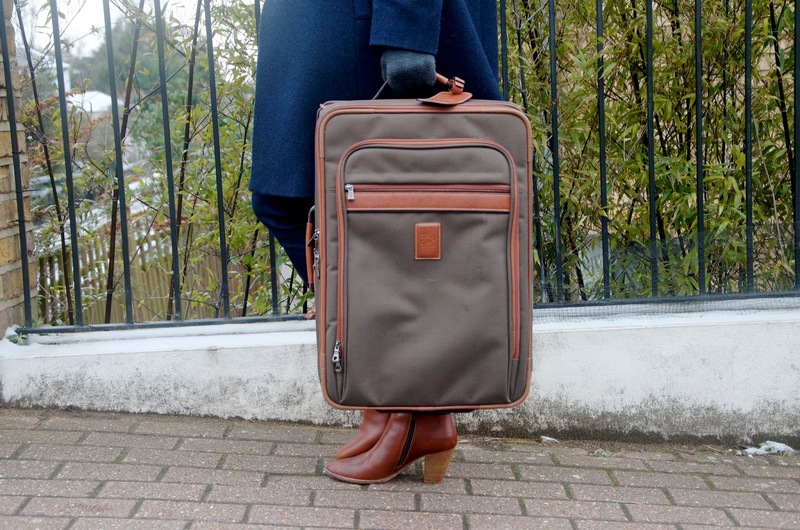 Perhaps you'd like to travel with only a carry-on for that weekend away or maybe you'd prefer to reduce the amount of luggage by one case when you fly. These tips are simply a guide to help you do that. However, if it's a ski trip you're packing for, you probably won't get away with just a carry-on when you have to pack your boots, goggles, heavy winter gear and whatnot, so it's important to remain realistic about how much you can reduce your load so that you don't arrive at your destination miserable and needing to buy everything under the sun to cope. If you've planned it that way, then you're prepared, but when it's a surprise, it could ruin your fun. With these tips however, I believe that you can cut the clutter and take only what you need and really want to increase your travel enjoyment and reduce your holiday hassle. 1. Choose your shoes first. This is my number one rule of packing and I find it saves me from overstuffing my suitcase time and again. I will choose the shoes I need, then usually I'll put one or two pairs back and build my outfits from there. There's absolutely zero need for taking a pair of shoes you can only wear with one or two outfits. Generally I choose something that slips on for ease & comfort or when I'm just chilling around the hotel. If it's warm I'll go for flip flops, but if it's cold I might take slippers or Uggs. I'll pack one comfortable pair of shoes that work with dressier outfits, one pair of sneakers usually and one cute pair of flats which may be Toms, Converse, sandals, mules or ballet flats, depending on where I'm going. I'll try to build my wardrobe about that and then if I find there's a pair of shoes that's not necessary, I'll put them back. I'll also try to match my outfits to multiple pairs of shoes since some are more comfy than others for things like walking, etc. 2. Decide on a colour palette and stick to it. I generally like to travel with a lot of neutrals - I actually dress in neutrals most of the time for ease anyway so this isn't such a challenge for me personally. When I'm travelling though I'm pretty specific. I'll pick one to three neutrals and a few bright accent colours and literally stick to that. This means there's no need for additional shoes, or things that don't match each other. For example, on my next holiday my neutrals are black and white. My accent colours are red, yellow, blue and orange. I will pretty much stick to that colour palette and everything I bring will go together. I sometimes deviate from defined colour palettes so even though most of what I'm bringing is black, I might still bring a brown leather pair of shoes to keep it interesting, but for the most part it will be easy to choose my outfits because anything that doesn't fit the colour palette is immediately eliminated. 3. Choose clothing and accessories you can wear more than once in multiple ways. If you can't wear it more than once or in more than one way, leave it at home. Sometimes on holiday it's easy to wear multiple outfits a day - for example, one over your swimsuit for the day and one for dinner out later. 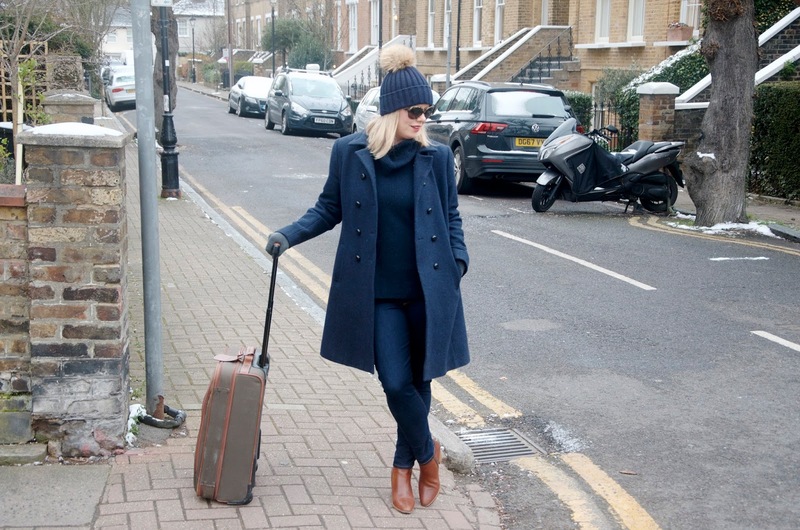 If you're traveling for 7 days, there's literally zero need to pack 14 complete outfits. Look for pieces you can mix & match with layering, etc. to create multiple looks from a select group of pieces. I like to pack things like basic t-shirts, cardigans and simple dresses that can be mixed & matched with various accessories to create different looks. 4. Buy any toiletries you can when you get there. If you like to travel with carry-on luggage only, this is a super handy tip. Pack a few things within your liquids allowance that you really need like contact solution, foundation or a travel sized moisturizer and buy the rest when you get there if you can. This can be really fun if you're traveling somewhere like France where pharmacy products are often as popular or more than designer brands. 5. Use as many solid products as possible. There are a wide variety of solid products on the market these days from shampoo bars to solid moisturizers and fragrances. These don't count towards your liquids allowance, so bring as many as you like. If you can do without your BB cream or liquid foundation and try a solid foundation compact for traveling instead, do that. The more solid products you can use, the less likely you will be to have to check a bag. 6. Decide on a hair & make-up look before you go and stick to that. Don't be guilty of bringing every lipstick you own because you might want to wear it. Pick one, or if you must, one for day and one for evening and stick to it. If you prefer to straighten your hair most of the time, commit to only bringing a straightener with you and leave your curling wand behind. The more you plan to change your hair & make-up look, the more you will need to pack, so keep it simple. You'll look gorgeous no matter what you decide. 7. Use a small clutch as a wallet in your carry-on. This eliminates the need for a wallet that will take up valuable space while giving you an evening bag to use for dinner at the same time. Additionally, a clutch in your carry-on is the perfect place to stash the jewellery you want to take with you that you're not wearing for the flight. 8. Wear your heavier & bigger pieces on the plane. If you have a coat, a chunky sweater or a clunky pair of boots or shoes you want to take with you, wear these items on the plane. This will save you space in your luggage and help you to keep the weight down on any bags that are being checked or weighed before the flight. 9. Choose your technology items wisely. Be realistic. Do you really need an iPad, an iPhone, a Kindle, a laptop and a large camera for your trip? If the answer is yes, then by all means make arrangements to pack those items, but I seriously doubt that most people require every piece of technology they own for most trips. Try to take only what you need, find ways to make one gadget work for multiple purposes and enjoy the freedom of not having to carry it all. 10. Use a carry-on bag that can also double as a tote, handbag or beach bag while your away. Many airlines allow a carry-on bag and a smaller personal item like a handbag. If this is the case with your flight or if you're traveling by train or other means, consider using something for one of those bags that you would actually like to use while you're away. I often travel with a small suitcase and a Longchamp Le Pliage for my personal item and I find it makes the perfect bag to carry while wondering through a new city or a day at the beach while I'm on my trip. If you have any packing lights tips that you swear by, I'd love to hear them so leave a comment below.